The proliferation of social media sites like Facebook, Twitter, and LinkedIn create a haven of juicy details and information for employers seeking to narrow down a large field of prospective candidates or hone in on a final selection. How great it is to peer into the social world of a candidate’s Facebook page to view photos, read wall postings, and even check out their friends and family – all of which can help you assess the character, personality, maturity, and other characteristics of someone who may soon represent your company. What luck! What fortune! Background checks require HR to walk a fine line between an individual’s privacy rights and a company’s need for due diligence and risk management. Social media background checks make that line awfully hard, if not impossible, not to cross. So for all there is to like about social media for background screening there’s just as much to make you want to run the other direction. Out of date information, mis-tagged photos, mis-identified profile pages, and are you sure you know what the people in those photos are actually doing, or that you’ve actually got the right person’s profile? Heck, there are 69 other people in the U.S. that share my name Michael Gaul. I could only hope those other Michael Gauls aren’t out there tarnishing my reputation with their risqué social media behavior. Have you ever tried to un-ring a bell? The biggest issue of social media background checks comes down to this: Employers who venture their own path through an applicant’s social media background are certain to get more than they bargained for. And that can be awfully risky. 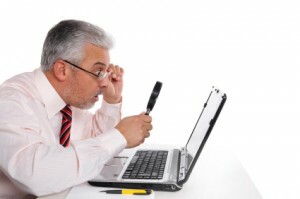 You might think you’re just going to take a quick peek at a Facebook profile to assess some specific personality trait but what you may actually uncover is a person’s religious or sexual orientation, age, marital status, or other factor that should simply not be taken into account in making an unbiased hiring decision. Yet, how the heck do you think you’ll prove that, while you did happen to find out your applicant is homosexual, bisexual, Muslim, Christian, African-American, Hispanic, etc. those factors did not impact the fate of an unsuccessful applicant? Once the bell is rung… it can’t be undone. Do social media background checks have a place in employment screening? Indeed, it is possible to get the benefits of social media insight with fewer associated risks. Quite simply, the best approach to social media background checks is to hire a professional background screening company to perform the social media investigations on your behalf. For the same reason you wouldn’t go down to the court house and pull your own criminal records report or run an “instant” background check online, employers should think twice or more about doing the same with social media. There’s a reason employers turn to professional screening companies for these types of checks. It’s inherent in the process of such providers to protect the interests of employers and applicants, while providing you with valuable insights from which to make better hiring decisions. A professional background screening company will be trained, experienced, and qualified to distinguish between things that are discernible, reportable, and fair to consider in the hiring process. Plus, your screening partner will be able to assist beyond just social media checks to make sure you have a balanced, comprehensive, and compliant approach to employee background checks. Ultimately, by going through a third party instead of allowing your hiring managers to run rampant around social media sites you’ll be protecting your company and promoting a fair hiring process that your applicants will appreciate. Need help? 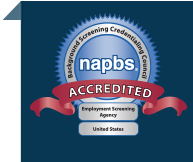 Discuss your employment screening program with a professional. Call (866) 276-6161 or request a free risk assessment.